Given the fact that buildings are located throughout a range of conditions and climates, one step managers can take to help maintain the efficiency of boilers and water heaters is to enact seasonal operation schedules. In especially warmer climates, it might not even be necessary to run heating systems during extended periods of warm weather. Enacting such practices can significantly reduce the annual energy consumption of heating systems and ensure a longer lifespan of the system. Enacting similar scheduling methods can be even more effective when performed as frequently as daily. Buildings function in all different ways, so it might be possible that controllable zones are left unused for hours and days at a time. 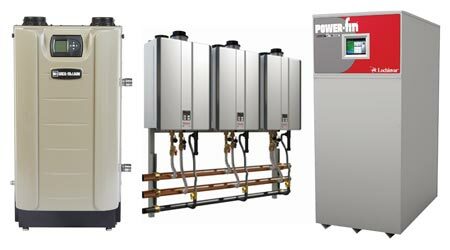 Scheduling boilers so that they run and use hot water only when necessary might seem like a daunting task initially, but the amount of energy that managers save by using this strategy can significantly outweigh any drawbacks. If a building has multiple boilers, operators can ensure the greatest results by sequencing the boilers so that only one is running during periods where the demand is lower. The boilers then can run simultaneously during periods of high demand and be shut down entirely during off times. This strategy not only increases boiler efficiency. It also improves the performance of other mechanical systems and decreases electricity use among pumps and motor drives. To ensure boilers do not overextend their limitations or run unnecessarily, operators can use lock-out sequences. This step will prevent the boilers from running during off hours and during warmer weather. The best way to ensure the efficiency of boilers and water heaters is to monitor, record and maintain system components diligently. Automating the system and providing sensors to monitor temperatures and pressures can provide essential data, as well as significant insights into potential energy savings. Operators should perform basic maintenance checks regularly to locate leaks in the system, ensure strainers are clean, and test the water quality to prevent the presence of unwanted or harmful contamination. They should also ensure insulation around any piping provides a proper enclosure to prevent losses. All of the best tools for energy recovery will be of no benefit to the organization if operators and technicians do not maintain the system properly. Following these recommendations, as well as performing regular maintenance and monitoring, can ensure a long and efficient performance life for boilers and water heaters.